I was always that kid who played with technology, I still remember the day I took apart our first family computer and failed to put it back together, it was an 80286 with a 40MB hard drive and the 5 ¼ floppy. Back then games were all platform and my proudest moment was when I finished Duke Nukem 1, 2 and 3. In the last 10 years I’ve aged from 20 to 30 and I’ve seen a shift, for the first time ever there are more solutions to the same problems than ever before, and today we no longer rely on the ‘I.T Guy’ to provide advice and guidance on our tech buying decisions we now seek the collective experience from our peers on social media. So whats driving this change? I believe that with technology getting cheaper, faster and more accessible along with emerging economies now becoming regional powers, we are seeing a new generation of entrepreneur that has a focus on not just building a company to solve a local problem but to solve global problems with simplicity and ease of use as a key defining measure to their products. Take Apple for example, they didn’t invent the App, the smart phone or even the tablet, but what they did was make it simple enough for everyone to understand and spoke to everyone in a way that we could connect with. So what about the Web Hosting industry? 10 years ago we spoke in terms of email accounts, domains, disk space and bandwidth but today we use words like SaaS, PaaS and ‘Cloud’ but does this mean we’re driving change? I believe not and here’s why. Recently I was having drinks with my friend Michael McGoogan who is the founder and former CEO of Australia’s third largest hosting company UberGlobal. I love catching up with Michael because we end up talking about over the horizon topics looking to solve world problems but during this conversation he said one thing to me which struck me and that was that Web Hosting is still an after thought and with further discussion I established that it always will be. Let’s explore this a little further. When you want to get your business online the first thing you think about is a getting a domain name, then building your website then finally you’re told that you need; web hosting. This is also true with all the companies who develop software, they are building solutions to our problems then they turn to a hosting company to house their data. So what does the future look like? To be honest its a damn scary one for all of us if we don’t consolidate and change, simply put we will die. The Web Hosting industry has been consolidating for years but last year we saw what I believe to be a few key acquisitions both locally and globally. There are couple reasons you may want to consolidate, you may want to build critical mass to your revenue, you may be after a certain technology that a competitor has or you want to increase your customer numbers. Taking these reasons for consolidating let’s look at some of the acquisitions that were concluded in 2013 that I consider to be important messages for the rest of us. Consolidation – In 2013 Internap which is a publicly listed company based in Seattle has a revenue of $273 Million bought Montreal based iWeb which has revenue of $44 Million for a whopping $145 Million. A multiple of 3.3x I thought was overpriced however when I discovered that Internap has 3,500 customers and they just acquired an additional 25,000 customers of which 10,000 are SMB’s it started to make sense, they are now one of the top 5 pure play Cloud providers globally. Change – in 2013 IBM bought Softlayer another Cloud, Dedicated and Managed hosting provider which had revenues of around $500 Million for a whopping $2.4 Billion. But why? IBM understood that they were a pure infrastructure company that offered software services but like hosting the margins are being squeezed and companies like Amazon were posing a real threat to IBM’s long term business. So off they went and they bought a Cloud provider with it’s 26,000 customers and 13 data centers. Consolidation – in 2013 the local UberGlobal completed the acquisition of iLisys and Smartyhost, with this purchase the company expanded by 40% and their market share increased by 10%, Uber now has over 110,000 customers in Australia. With change this doesn’t just mean to acquire other businesses to protect your position. 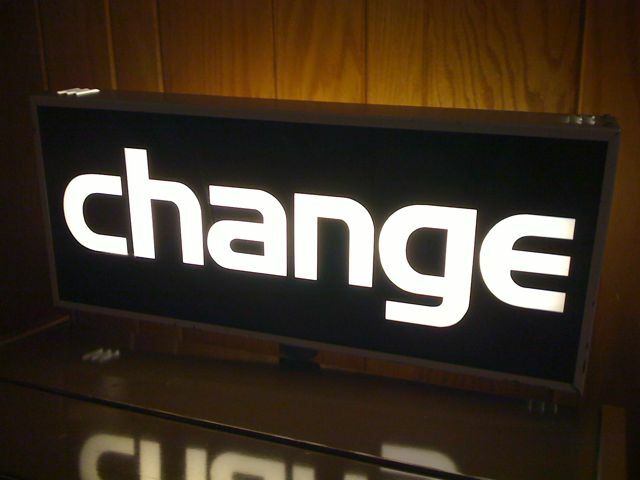 Change to me is a complete overhaul of what a hosting company is and does. I for example love the opportunities that Amazon is creating and to get the brain cells ticking here is a thought, Could it be possible that Crucial may one day only use Amazon to host it’s customers? Strange thought to some wouldn’t you agree? But here’s the thing, Amazon do Infrastructure and they do it to very well and on a global level. The hardware CAPEX for a hosting company is one of the biggest line items of the P&L statement and this is soon to be something we can potentially get rid of and instead have a scale up and down OPEX environment just like we deliver to our customers everyday. Additional benefits would be opening up new markets to Crucial and it’s customers that traditionally we couldn’t reach or penetrate hard enough without a considerable money and time investment. Now I know there will be some hardliners that will bring up the data sovereignty argument but let’s get real about this and look at the reality, the 2009 Global Financial Crisis taught us one thing and that was that the world is not flat and we do actually live in a global economy not sheltered by geographic borders. The real question we need to be asking ourselves today is what do we do about security. So what is the answer for hosting companies that want to continue to grow and thrive? That’s the billion dollar question and I believe the answer lays within the application and customer support layer, and I have a vision for Crucial of which the details of which will become public in the near future. The reality is that more than ever before the world is being advanced by the consumer and what they want and need not the underlying technology, infrastructure or the details that only 20% of people actually care about. Everybody needs hosting…whether they realise it or not. I got just the best idea for you….to make people think twice, or at least once, about hosting. Is this a hint that Amazon will be buying Crucial ??? Bill we’re definitely not one of their targets, I like to think that the question is what can we buy off Amazon to deliver more value to our customers.